Create a personalized table runner with our Chalkboard Paper Table Runner. Our Chalkboard Paper Table Runner will allow you to let your party decorate the table with their own message written in chalk. Each Chalkboard Paper Table Runner kit includes a roll of 4' wide x 50' long black paper and a package of twelve white chalk. 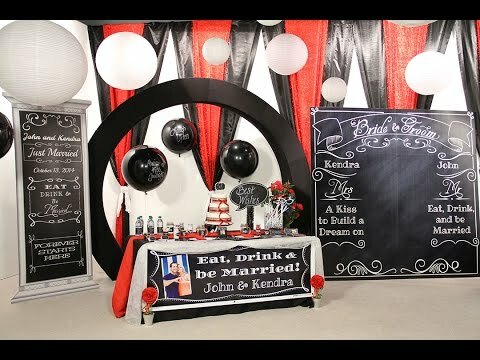 Our Chalkboard Paper Table Runner is great for weddings, birthdays and graduation parties.